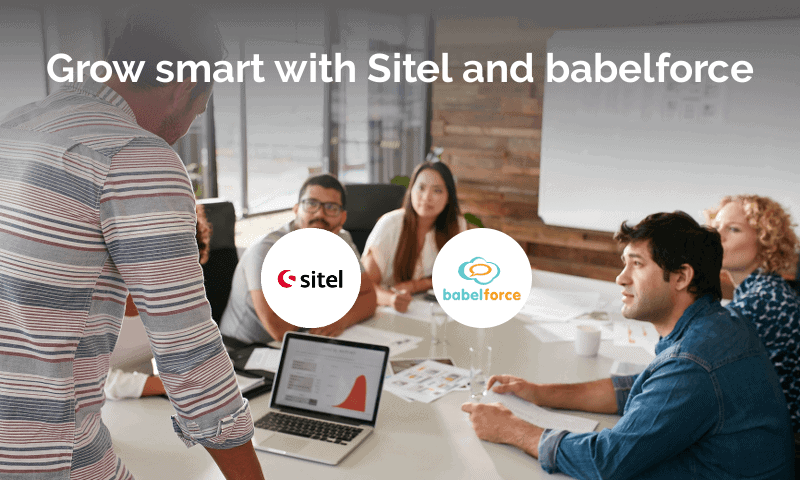 Sitel and babelforce have teamed up to help fast-growing companies scale personnel and processes with minimal effort. Rapid business growth presents companies with numerous complex issues to tackle, and the right response depends on both your strategy and the nature of your business. There are two key areas that need close attention– your people, and your technology. It’s only too easy for businesses on a steep growth curve to find themselves under-resourced and overspending. So how do you maintain flexibility while taking the big step towards your next growth milestone? How do we transition from early success to operating at scale? Which processes need to be internally resourced, and which outsourced? How can we ensure maximum automation across all tools and systems? Will the wrong technology and infrastructure choices impede our growth? Through our partnership with Sitel, babelforce is more prepared than ever to solve these problems. We enable businesses to climb their growth curve – no matter how steep it is. Growing businesses are often hindered by limited SaaS tools that focus on small business needs. These basic systems may have helped your company take its first steps, but it’s unlikely that they are still fit for purpose as you expand. By contrast, larger businesses are frequently tied into older technologies; although they may want to benefit from the API economy, their legacy systems keep them fixed in place. These issues are two sides of the same coin, and share the same solution – what’s required is the means to bring the entire contact center into the API economy. Create your integration capability once and then integrate with anything, connecting up CRM, Helpdesk Solutions, Business Intelligence and other internal systems. Most importantly, the integration of babelforce API with existing systems allows companies to create and change processes whenever they want, at no additional cost. This flexibility means that detailed processes can be designed and implemented by almost anyone, without writing a single line of code. Implemention can stay within the operational teams that use the processes, so you can forget the days of having your design ambitions lost in translation while liaising with IT or other departments. Compliance and data ownership issues are also sidestepped by the babelforce API, which does not require transferral of your data off-site. Keep your data to yourself, integrate all systems simply, and change any process to fit your needs. On the problem of how to resource in order to scale: Sitel with its Start & Go product, allows you to scale your team for different territories, languages and processes. With a workforce serving 70 countries, Sitel combines global strength with local knowledge. Their ‘people first’ approach allows them to tailor engagement and provide multichannel resources for a quality, on-brand customer journey. But what does that mean for you? Well, it means increasing your service capacity in any channel as much or as little as you need to keep up with growth. Contact centers experience some of the highest rates of attrition among professional services, drastically increasing the costs associated with recruitment and retention. As contact volumes increase, you can easily increase staffing at the same rate, without the burden of training and coaching overheads. That leaves you free to focus on upskilling specialized in-house teams and managers. Sitel’s international reach also gives you peace of mind that you can meet demand wherever it originates. Best of all, Sitel can provide a service with the authentic feel of your company. Your processes, your targets, and your company ethos – all in safe hands and delivered to customers according to your needs. As a leading provider of outsourced customer experience, Sitel has the knowledge and experience to work within the processes and obligations of every industry sector. A major new outsourcing agreement can be a tricky proposition for a business on any scale. Through our collaboration, Sitel and babelforce are able to give guidance on all kinds of outsourcing. Innovation is the name of the game, and we work to ensure that every function of your business is integrated intelligently. Our products can be deployed without large upfront investments, even when you need to start in, say, three continents at the same time. We ensure that the local and global infrastructure is there when you need it. By paying only for what they use, our clients avoid carrying substantial costs in the transitional period while they approach their next point of scale. Grow smart with babelforce and Sitel. With Sitel Start & Go, you can add personnel for different languages, territories, products and processes. You can scale your team as you need to. Sitel takes care of the recruiting, training and the performance and quality management. Sitel combines customer care and service excellence with digital solutions across all stages of the Customer Journey, being able to deliver onshore, nearshore and offshore with 75,100 associates out of 146 locations in 48 languages. babelforce provides a global platform that allows you to standardise integrations between call and contact center infrastructure and any of your other systems. Once your integrations are added, you can roll out new services and make deep changes to your processes without any software or IT project.